As a parent, we want to take care of our children and give them only the best. It does not matter if you are a mom to be or having a baby for the 2nd time – the arrival of a newborn is exciting and still requires proper planning. If there is, one product you will never have enough of it is toiletries, yes, baby shampoos. You want only the best, and your little one needs special care when it comes to washing his or her hair. You need a baby shampoo that is safe to use especially in the first month as not all products are gentle for baby’s skin and could lead to dry skin or a rash. Your newborn needs much sleep, you also need to sleep, and some shampoos can give them restful sleep. There are so many baby shampoos available on the market and find the best one for your infant can become difficult. Here we have picked the top 10 baby shampoos available in 2019 that is gentle for any baby’s skin without the tears. 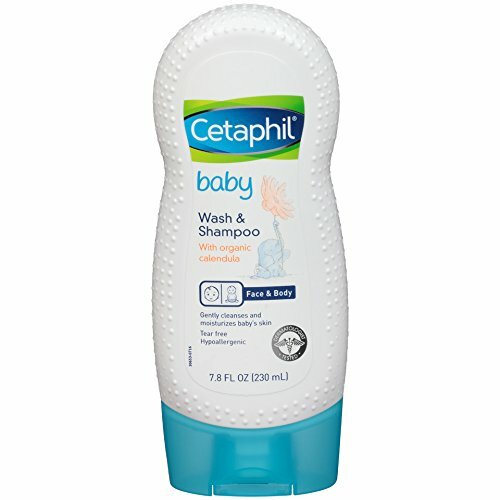 For a tear-free baby shampoo, you can also use it as a body wash look at the Cetaphil shampoo. The organic formulation will keep your little one’s skin moisturized without drying it out. The cleanser has a calendula formula with a soft fragrance. A drop goes a long way when applied on a washcloth. The Cetaphil is colorant, paraben, mineral oil free and hypoallergenic. The shampoo is available in a natural squeeze 7.8 fluid oz bottle with secure cap. 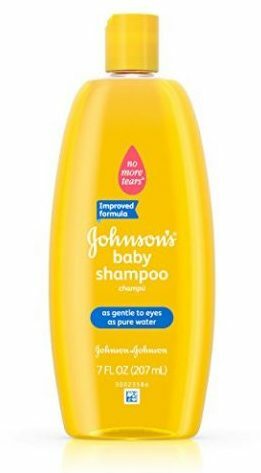 Johnson’s and Johnson have been around for many years, and the truth is it was one of the first known products available on the market making baby shampoo without the tears. The product you can buy in 7 fl oz bottle in packs of one, two, and four at an affordable price. The shampoo has a clean fragrance and smells fresh. The substance is hypoallergenic and a good option for sensitive skin. With this in mind, you may find it is not suitable for infants with eczema skin. The cleansers used by adults for generations. With Burt’s Bees you can make bath time fun time as the shampoo you can use to wash hair and cleanse the body. The baby shampoo has a natural formulation and is gentle on your little one’s eyes. The formula has a plant base with soy proteins to keep the skin moisturized. The smell is fantastic, and it is pediatrician tested to be safe for babies. The products sold in packs of free and even adults use it. Furthermore, with the natural ingredients, it is also safe on baby’s bottom. Here we have another two-in-one product you can use to wash babies hair and body. 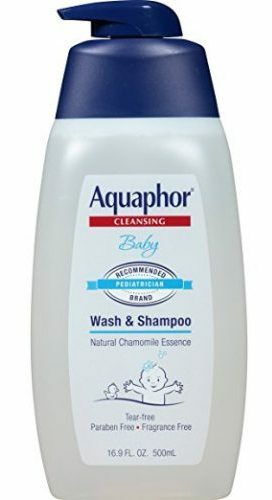 The Aquaphor baby shampoo you can buy in a 16.9 fluid oz bottle and is gentle on the skin. The formula has a chamomile essence with Provitamin B5 and pediatrician tested. The tear-free formula will make sure your little one has a fun bath without tears. The products fragrance and preservative free and has a convenient pump action to use with one hand. 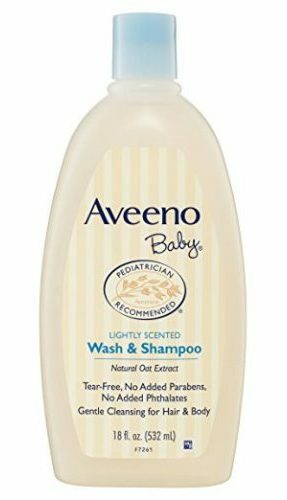 The Aveeno is a fantastic baby shampoo you can use to wash the body as well. The substance you can buy in an 18 fluid oz bottle and has a tear-free formulation that is suitable to use on newborns and infants. The cleanser does not have preservatives in it and is soap free. The ingredient used in Aveeno is natural oat extract, gives the skin a soothing effect, and nourishes the skin at the same time. The product has different elements in it, and you view it online before buying. For a calming shampoo to use on baby’s head that will make them want to go to sleep, try the Honest Calming baby shampoo. The plant-based formula offers a two-in-one cleanser to use from the head to toes. The shampoo has a blend of jojoba protein, coconut oil, quinoa extracts and more. The tear-free recipe is gentle on the eyes and the mixture of chamomile, calendula, and aloe soothes the skin. There are also lavender essential oils in it to make baby calm before bedtime. The Honest Calming shampoo is available in a 10 oz bottle. The 8 oz bottled of CeraVe baby shampoo has a tear-free formulation to make kiddos bath time fun. You can make use of it on your little one’s hair and body. The products you can use on normal, oily, and dry skin. The shampoo comprises three essential ingredients (ceramides 1, 3, 6-II.) The substance has loads of vitamins to keep the skin moisturized and free of preservatives. Furthermore, the body wash comes recommended by the National Eczema Association. For daily bath time use the Mustela Gentle Shampoo is perfect. The tear-free solutions are great as it prevents baby’s eyes from burning and delicate on their scalp. The shampoo has a plant-based formula and comprises of Avocado Perseose. The ingredients gentle on the skin and help to detangle hair. The product dermatological tested to present you with clinically proven results. The product is soap-free and biodegradable. 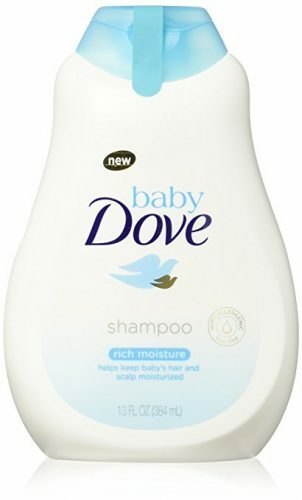 The Baby Dove Shampoo is a bit more expensive than the other baby shampoos reviewed here. However, you get a pack of three 13 oz bottles that make up for the price. The substance is tear-free, pH neutral and hypoallergenic. The Baby Dove shampoo comes highly recommended by dermatologists, ophthalmologists, and pediatricians. The formula is gentle on your little one’s skin and keeps the scalp healthy and moisturized. As with the majority of baby shampoos, the Elizabeth Parker Natural is also tear-free. The products made with non-allergenic ingredients, help repair, and replenish the scalp. The formulation helps to remove cradle cap and heals dry scalp, dermatitis and more. There are no chemicals, fillers or irritants in the product and filled with raw Manukau honey, cehami, organic aloe vera and more. The products sold in an 8 oz bottle and you can buy it in 4 oz and 16 oz bottles. The pH balance is 5.5 and suitable to use on eczema-prone skin. Bath time needs to be a fun time for your little one. When one thinks of washing your baby’s hair, you already start to flinch up. Your infant’s hair needs cleaning, and you do not want to get soap in the eyes. A few years ago, you could only find a selective choice of baby shampoos available, but these days you get overwhelmed with all the brands available. 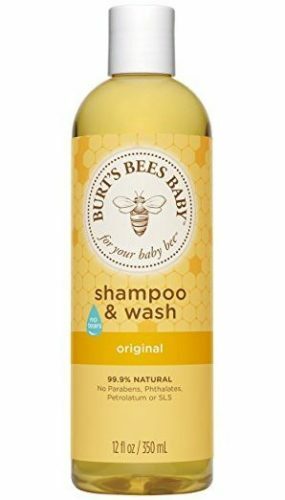 We hope that when the time comes to pick a brand name best suited for your little one’s skin and scalp – you can find one on our top 10 best baby shampoos in 2019 reviewed here.